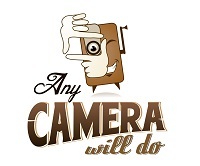 We at AnyCameraWillDo are a mixed group of film makers and we all do things a bit differently. Recently, I have been noticing what I and other shooters make use of that makes shooting a bit easier & what I find makes shooting easier form me. So, take a look at 9 bits of Gear That we love. There are so many different EVF’s and on-camera monitors around these days. The options seem endless. I use the SmallHD DP6, but whatever you use, you’re going to need to mount it somehow. I first used magic arms, & found they were terrible. I recommend that you do not use a magic arm. They will simply unscrew and become loose at the worst time and they are a pain to adjust, requiring two hands and a regular dose of swearing. What you need is an EVF/Monitor holder. There are just as many mounting options as there are EVFs and Monitors. They range in price, quality and useability. After looking around a whole bunch, I settled on the Edelkrone EVF holder. Edelkrone make very high quality gear. It’s all very clever in its design and really well thought out. The Edlekrone EVF holder is not the most versatile, but what it does, it does extremely well. It’s small, big plus. It’s light weight, another big plus. But mostly, it does what it says it does, holds the EVF or Monitor where you put it, and when you want to adjust it you simply turn the monitor or EVF and it stays where you left it. Also, it’s cheap! Its under $200! You mount it to any Hotshoe slot so you can mount it any where. Don’t have a Hotshoe where you need it? Get this, the Hotshoe you can put anywhere. Every other EVF holder I tried was either too big, too difficult to use, poorly thought out or a mix of all three, and some are also very expensive. Ultimately, you want the EVF/Monitor holder to be something you forget about completely because it works so well you don’t notice it. That is exactly what the Edelkrone EVF Holder does. For a long time, I was using the quick release plates that came with my tripod. When I got a Mattebox kit, it also had a quick release, but a different type. Then my slider had another quick release plate altogether. I quickly realized I was spending a lot of time swapping the quick release plates back and forth from the bottom of my cameras and my gear. Not only was it a waste of time, it was very frustrating, and the risk of leaving a small piece of gear behind that was likely to significantly affect my shoot, was rising every time I got a new type of quick release plate. First off, get a quick release system and put it across all of your gear. Best tip I can give you right there. Secondly, take a look at the quick release systems in the market place. Some of them are great and some are not. It depends on your weight requirements and other factors, but some will work for you that might not be so great for others. Find one you like and put it across all your gear. If all your cameras have QR (Quick Release) plates on them, you never need to worry about changing them or forgetting them. What do I use and think is great? The Kessler Kwik Release system. I bought a bunch of these and an additional bunch of plates of differing sizes. They are so great. They are light, simple, strong and work so well. Firstly, they snap-in from the side, works great, you just pop your camera down on an angle and SNAP! It’s locked in, safe. It can slide forward and back but can’t fall out. Then, you put the lever down and its locked in and going nowhere. To release, pull the lever out and press the red button and the camera is free. Many QR systems require you to slide the QR plate in from the back. This is not great, because it’s not easy to do if the camera weighs much or if you’re doing it form a funny angle, like if the tripod head is above you. If there is any part of the rig that hangs below the QR plate it can stop the camera going onto the tripod or slider. I had to take the MatteBox off my kit just to get it on the tripod when I was using the Manfrotto QR plate, so annoying. The Kessler QR Plates are covered in mounting options, both the QR plate and the Carriage. It’s the Arca-Swiss standard, so there are heaps of compatible brands and products out there so you’re not locked into one brand. It’s low profile, so it adds only a small amount to the top of your tripod, slider or Steadicam or whatever you are putting it on. Generally, I can’t rave about these things enough. Get them, they’re brilliant and will save you time and a headache. The Speedbooster from Metabones was such a fantastic addition to my kit. I Got the AF100 and GH2 cameras when they came out and later picked up the BMC and BMPC. The difficulty with the Blackmagic cameras was the limited sensitivity compared to many other cameras out at the time, and the challenge with all four cameras mentioned was the smaller Field of View (FOV) that they produce compared to larger chip cameras. With the addition of the Metabones Speedbooster this was largely fixed. The Speedbooster is a focal length reducer. It increases the FOV of a given lens and it increases the amount of light hitting the sensor so you get an extra stop of light. On a Micro Four Thirds camera like the AF100, the Speedbooster makes it equivalent to a Super 35 sensor and increases the speed of the lens by a stop. Fantastic! What’s not to like. It also has an improvement on sharpness! There are even specific models for the BMCC and the BMPC that give an increased benefit to the even smaller sensors. You can see the specs and results on each camera on this graphic pinched from PhilipBloom.net. (Super site, check it out). By getting a Speedbooster, I effectively doubled my lens kit. I can use every lens I have on a standard adapter or on the Speedbooster. This gives me a wider, faster option with a smaller Depth of Field (DOF) or a longer, slower lens with the standard DOF that the Sensor size provides. There are many competitors to the Metabones product but none of them are any good and all of them have a very negative effect on resolution producing soft ghosty images. Stick to the Metabones and you can’t go wrong. Cable management is key to having a tidy rig that you can work quickly with. Like pull it out of the bag & shoot quick. A buddy of mine had a really tight rig for his 5D & what I really liked, was his cable management. For ages, I had been using Velcro cable ties, and they work great but they can be a hassle when you want to make a quick adjustment. These Cable ties from Redrock Micro are simply magic. Fast, simple and super versatile. You can even leave them on the cables half the time. I use them on my BMCC set up constantly and I ended up buying a bunch of them so I could always leave them on the cameras rather than pull things apart when I needed more. Redrock Micro stuff is really well made and very useful and it’s very affordable. I have a bunch of their stuff and rate it highly. That said, it is easy to go overboard and end up with a rig that is unnecessarily too large. Never underestimate the benefits of a top quality Tripod. Often I hear people complain about the price of brands like Miller or Sachtler, but they are worth it, totally worth it. Once you use a decent tripod you can’t go back. Miller make the best tripods I have ever used. They are versatile, super strong and have a really nice action. The DS20 with CF Solo legs is a lightweight favorite. I can throw it over my shoulder and hike all day comfortably. It can get very high and super low just like a high hat. The DS20 head is super smooth and can take a good range of payloads. The only negative is the Quick Release plate is a slide-on one, I don’t like these, but bolt on a Kessler Kwik Release system and you’re all sorted. Their bigger systems are also fantastic. I have the CF HD legs that I adore. Tripods are so important to your work, you need something that you can rely on and that will last. Miller gear will outlast me. And if I have trouble, they are located in Artarmon NSW and are super helpful. I broke the carbon fibre leg on my Solo legs and dropped into Miller while en route to the second part of the job. Miller replaced the leg in less than 40 minutes! My gear gets worked hard and my Tripods can take it. If you’re shopping for a tripod spend the money and get something that is good, it will last and it makes a difference. Camera cages are all the rage these days and many of them are rather unnecessary. But if your shooting on the BMPC they are a must! Not only do they protect the camera but the BMPC is really susceptible to several potential damage induced problems. First, the HDMI & power cables are very small and very fragile. Bust them and you are likely to brick the camera. Second, the 1/4, 20 mount on the bottom is quite short and you can easily screw your mounting bolt on your tripod plate in too far causing the metal mount to get some play, and then no matter how hard you screw in the tripod plat the camera will move around a wee bit. Third, the camera is generally quite fragile, also it really is hard to mount anything off it, so a cage helps with not only durability but also lets you mount things where you need them. You have got to have a good monitor or EVF. It makes shooting soooo much nicer when you are super confident that what you are looking at is in focus. As with most of the gear mentioned on this post, there are many of options out there, a lot of which are really good, but if you ask us, it has to be the SmallHD AC7. 1280×800 resolution, loads of focus assist, exposure & frame control options. Shooting on a DSLR that crops the image on output? Just use the rescale feature. Its super well-built. Solid metal casing so it’s practically bomb proof, and most importantly the image is great. You can get the AC7 in HDMI & HDSDI variants as well as an OLED option that has even better color rendition and high contrast ratio. I take my monitor with me everywhere and even when the on-board screen is good enough on a camera, it’s handy to have a client monitor or to have that extra comfort and confidence of a more accurate and larger screen. I found that it also gave some renewed life into my older cameras like the HVX200. The LCD screen on the HVX is really bad and quite soft. Recently I was asked to shoot on the HVX for a client and with the addition of the SmallHD, I was reminded that the camera is still capable of producing beautiful images. The thing I find is that shooting is sometimes a mind game and if you’re not feeling positive, feeling that you’re getting good images, it can be hard to continue putting in the effort. Too often I had shot and felt that my work was rubbish only to get into the edit and be surprised by how well the shots turned out. Nice surprise, yes. But I would rather be happy at the time and be confident that I had what I needed going into the edit. A good monitor provides that confidence. The BMCC is a weird shape and not the easiest camera to use. It’s wide and hard to hold. You really need to rig up the BlackMagic cameras to get the best out of them, that means using a camera cage. The Viewfactor Contineo BMCC Cage is the best cage for the BMCC I have seen and its a requirement to make the BMCC a usable production tool. It adds no extra size to the sides on the already wide camera and it’s very light weight so little extra weight is added to your rig. It is covered in 1/4,20 tapped holes and 3/8,16 tapped holes so you can mount anything very easily. On my setup, I use the Contineo cage with 15mm rails on the bottom, that holds the Mattebox and the battery pinch. On the top, I have a set of 15mm top rails that holds the Edelkrone EVF holder and the Viewfactor handle is mounted directly to the top of the cage. This makes the camera very easy to pick up and take out of the bag without having to rebuild anything each time. It can also be very quickly stripped down to just the camera in the cage. The Viewfactor gear is really well made and very affordable. Their Hotshoe Mount is super useful and cheap. The Contineo cage has the added benefit of making the BMCC very easy to hold as the side extensions of the cage are almost like handles so the BMCC becomes very easy to hand hold.. The addition of a slider to your kit can really improve you production quality. It can also be really fun to use, and you really don’t need much length to get a fantastic result. Thing is that often you don’t have time to set them up or you can have trouble transporting them as many of the good ones are quite heavy and/or large. That’s why the Cinevate Duzi Slider is on this list. It’s lightweight as its made from Carbon Fibre. It’s small, but still big enough to get a good move on and it’s very easy to use. Cinevate gear is great quality and they have heaps of info on their site for tips and servicing. The Duzi has adjustable legs for uneven terrain as well as mounts on ether end so you can put it on a pair of light stands as well as centre mounting it on a tripod. This is a great feature. It can also be dismantled so you can pack it down real small for travel. If you are looking for a slider, take a look at the Duzi. It’s affordable and the perfect ratio of range of movement and portability. So that’s just some of the gear that we love here at AnyCameraWillDo.com What are some of the kit you think we have missed out on & what do you find makes your productions that much better.